This, one of English writer Rudyard Kipling’s most famous quotes, is from a speech Kipling presented in 1923 to the Royal College of Surgeons in London. He metaphorically compares words to drugs to demonstrate the deeply persuasive power of words. Kipling’s words offer the nearly perfect segue into the latest column of Susan Gubar, who writes of the often unintended, destructive meanings behind much of today’s cancer vocabulary. While I continue taking an experimental drug to keep my cancer at bay, I cannot claim to be in either a remission or a recurrence, and the word “maintenance” does not shed much light on the situation. The paucity of the language at my disposal stymies me, as does its obfuscations. “Language is the mother of thought, not the handmaiden of thought,” the poet W. H. Auden once said, quoting the aphorist Karl Kraus, and then he added, “Words will tell you things you never thought or felt before.” Some of the vocabulary swirling around cancer leaves me feeling what I never wanted to feel or unable to think what I need to think. Consider, first, medical lexicons that appear to blame the people receiving care. A patient said to have “failed tamoxifen” knows the drug has failed her. Similarly, a “platinum resistant” or “refractory” patient experiences not her refractory resistance but a drug’s ineffectuality. The word “relapsed” seems to find fault with people who have fallen back into error. Preferring the term but dreading the fact of recurrence, I bristle at surgical scans said to be “clean,” for the word makes me feel that I have been or will become dirty. 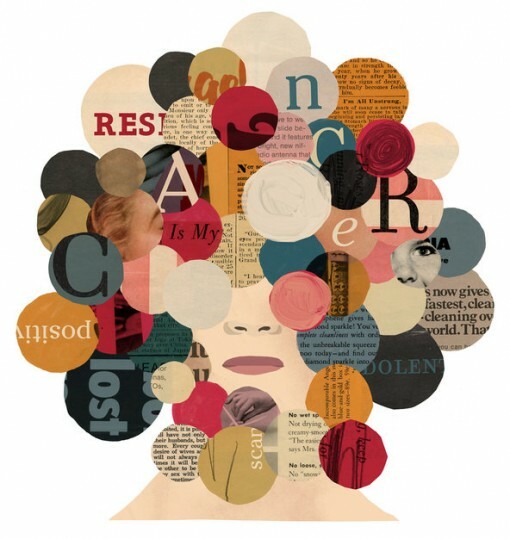 In the topsy-turvy world of cancer, anything “positive” or “advancing” spells trouble. Yet a brain labeled “unremarkable” after an M.R.I. hardly conveys the good news it contains. Cancer’s most prominent words simply sound horrible to my ear: the mal at the start of malignancy and the hiss at the end of metastasis, as well as the hard-to-pronounce cachexia (loss of body mass) and ascites (buildup of fluids), not to mention such drugs as bevacizumab (Avastin), capecitabine (Xeloda), pemetrexed (Alimta) and trastuzumab (Herceptin). Doesn’t it seem sinister (and confusing) that each has an a.k.a.? …After genetic testing produced a population of people aware of their heightened risk of developing cancer, the neologism “previvor” arose to describe those who have tested “positive” for a deleterious mutation. It refers to survivors of a predisposition to cancer and has largely replaced the medical category — “unaffected carriers” — that turned this group into a contaminating menace. Scanxiety, designates fears accompanying the anticipation of a test that may show evidence of disease. Chemoflage, as used by the anthropologist S. Lochlann Jain, mocks the deceptive information circulated by cheery chemotherapy brochures. As Gubar makes clear, the words of cancer — Cancerese — too often offer little to promote the Emotional Reconstruction and support so needed by those affected with a cancer diagnosis. Indeed, Cancerese is the language of medical providers speaking to medical providers, when what is needed instead is a vocabulary that speaks humanely to people, rather than threatening them. Read Gubar’s thoughtful column in the New York Times. This entry was posted in Emotional Reconstruction®, Information Strength, Patients Speak, We Live You®: The Latest and tagged breast cancer patient empathy, first person breast cancer patient story, language of breast cancer. Bookmark the permalink.